Spirit’s Bounty Farm OH! 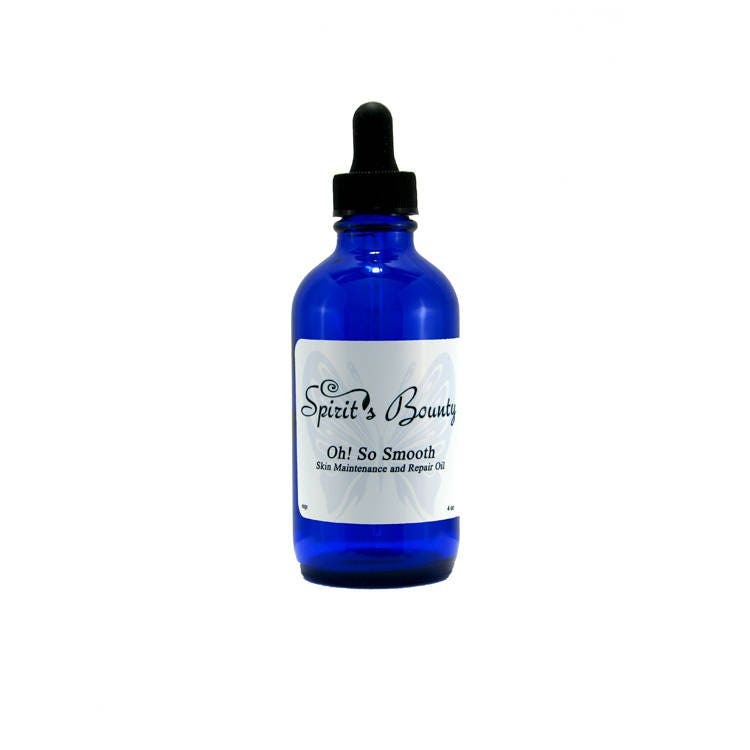 So Smooth Skin Maintenance & Repair Oil is a blend of exceptional plant oils and homeopathic ingredients that rejuvenates the skin, sooths after shaving or wind burn. With regular use helps prevent and smooth out wrinkles. Ingredients: Organic Camellia Oil, Rose Hip Seed Oil, Helichrysum, Sambucus Nigra Fruit Extract, Calcarea Flourica 200C & SB Formula Mix. If you are pregnant, or think you are pregnant consult your physician before using this product. This product is not intended to diagnose or treat any disease.